A friend was in town so I chose to go for Sunday lunch at the Coogee Pavilion Rooftop. The owners of this restaurant/bar, The Merivale Group, are big in Sydney and I had read a lot about the different spaces, style and feel of the place as well as the quality of the food so I had high expectations. We negotiated our way through the throngs of people on the lower level and made it to the safety of the stairs. The lower level was “buzzing” but it was far too busy for me to want to eat there. We climbed the winding staircase to the top of the building and were pleasantly surprised by the relaxed feel of the roof top bar. We were even in time to find a table with a fabulous view of the beach. We sat down, took a breath and then made our selections from the (brief) menu. A jug of Pimms seemed appropriate, and we ordered a number of share plates. I am always a little apprehensive when dining at a restaurant which has share plates (unless it’s a Turkish restaurant!) Unfortunately in Australia “share plates” usually means small plates and high prices where both your stomach and your wallet leave feeling empty. 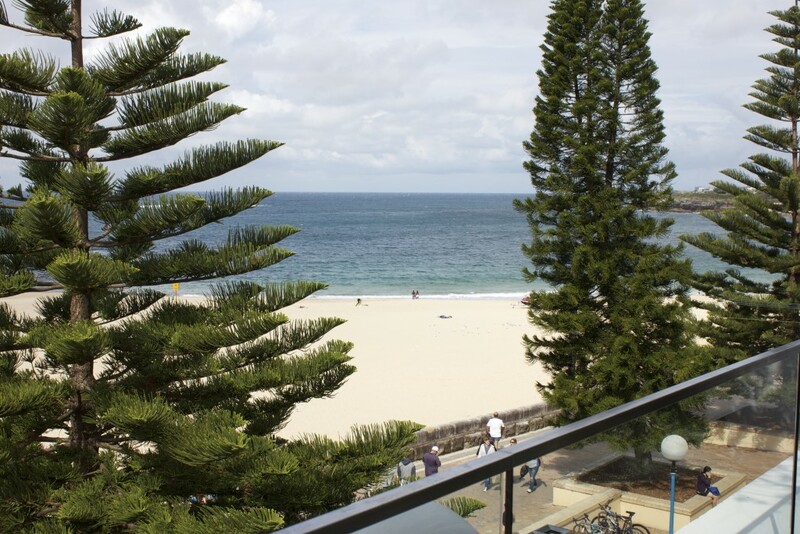 The Coogee Pavilion Rooftop was no exception – the prices are as steep as the nearby sandstone cliffs. $22.90 for 3 lamb chops with a crunchy coat of charcoal perched on a slurp of yoghurt. Definitely better for digestion than the wallet. The food was beautifully presented and tasted fine (the burnt eggplant dip was the standout), there just wasn’t enough of it. I left hungry and disappointed and won’t return. I can burn a kilo of lamb chops on my own bbq for the price we paid for 3.